Your registration is “strncmp” bushing? Nice. I wonder is wiipowr actually belongs to WiiPower? Might want to drop a thread on GBAtemp, assuming this is a scenester you crossed paths with. I found this, but it’s not much help. @SifJar – I asked WiiPower and he says it’s not him. 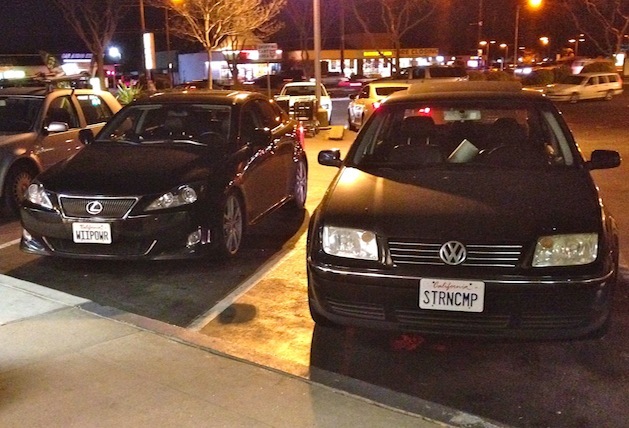 I think I saw that VW with the strncmp bug once. Old boot1 in the petrol NAND? There’s some stern competition between license plates going on there.